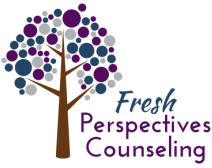 Conveniently located in South Austin, behind Gordough's Public House and across from Matt's El Rancho, the FPC offices are comfortable and casual, providing the ideal setting for our clients to relax and begin their therapeutic journey. Turn onto Dickson Drive from South Lamar. You'll be turning in between Gordough's Public House on your left and Sonic on your right. Look for the Windsong Office Park sign on your left. Turn into the second driveway and park wherever you can. Our suite is level with the parking lot. Walk up to building and make a left. Suite 22 is across from the mailboxes and located next to Lashes de Bella Boutique. Take a virtual tour of the FPC offices by scrolling through the photos below.